15:08 That's a wrap for Thursday for the Brazilian Grand Prix at Interlagos. Join us here tomorrow as the track action kicks off, and keep up to date with all the news at Motorsport.com. 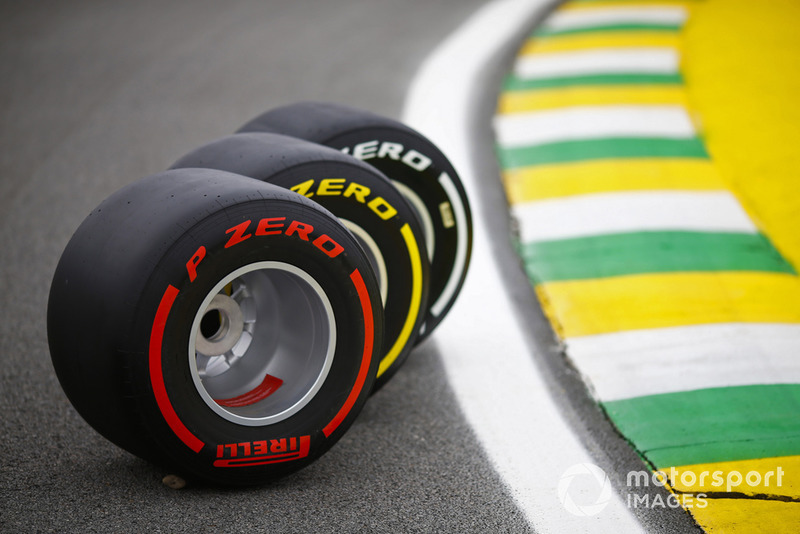 14:35 BREAKING: Formula 1 drivers' body, the GPDA, plans to discuss concerns about tyres and the state of racing in a meeting in Brazil on Friday, amid mounting frustrations with the sport. 14:08 BREAKING: Formula 1 is putting in place "an array of options" should Silverstone fail to conclude a deal to stay on the grand prix calendar beyond 2019. 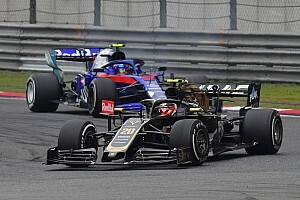 Sauber star Leclerc says his full attention is on keeping Toro Rosso behind in the constructors' championship – just three points between them, remember! "They are strong, that's for sure. But I think we are quite strong, we have a good momentum at the moment, hopefully we can keep it here. It's a track I really enjoy driving, so hopefully we will be quick. "Yeah, we will definitely try to keep them behind but it's going to be tight because I expect us to be very close from now onwards because they have the new engine spec again." “I'm not sure yet if he's not going to make it, but for me Alex Albon, who for me was really strong. I really hope he will take the seat he is rumoured." Albon, of course, is strongly linked with the vacant Toro Rosso seat. Bottas also sang Hamilton's praises: "It's really impressive what Lewis has done in such a short time, achieving that many championships, race wins, poles. It's not easy to keep at the top. 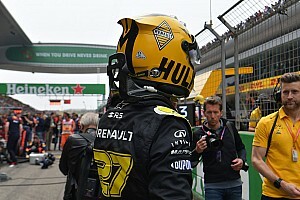 "The past two years I think he's been the best in Formula 1, and there are always other drivers who are hungry to beat him, so it's not easy to stay there. And I think Lewis himself would say he's still getting better. It's impressive and I have big respect for his achievements. He truly deserves those." Valtteri Bottas has been talking today about the potential switch in mindset at Mercedes, now that the drivers' championship is decided. He said: "We know there's a chance to secure the constructors' title here, but it's not something we want to think about too much. [The mindset] shouldn't change, because I should be at each race weekend giving it 110%, and the goal is always to overachieve. But it could be different because I know there isn't going to be anything in terms of swapping positions or something like this. But like any race weekend, it's not going to be easy to beat Lewis." When asked about the potential for an F1 return one day, Vandoorne replied: "It’s hard to tell what the future will hold for now. I will focus on Formula E for now to try and do the best I can. What the future will hold is hard to tell. We’ve seen a crazy driver market this year. The same can happen next year. There’s drivers that are getting towards the end of their career and it’s hard to tell how the grid will shape in the future, so we’ll see." "It’s just nice to have a change and experience something different. I’ve had a good experience in Formula 1. I’ve learnt a lot in the two seasons I’ve had here. now we’re going to something different, so I feel like it’s a big challenge. it’s something I’m looking forward to. [Predicting] what the results will be is very tough, but I'm going there with a great mindset and I'm sure we will fight for some great results." Perez also spoke about the battle Force India is locked into with McLaren, after losing all its points before the summer break due to its ownership change. "Unfortunately we lost a lot of points [in Mexico]. It was an easy P7, if not P6, so that's a big shame, a lot of points also. Only two races left, so we will try to be perfect in these next two coming weekends." Force India's Sergio Perez comes to Brazil still ruing his exit from his home race in Mexico. He specified the reason for his retirement was "Brake failure. Actually, we now [realise] we were on to a great race and suddenly the brake pedal went really long and we lost them. The caliper." 13:34 Are words really necessary?! 13:23 BREAKING: Max Verstappen admits he "could have done some damage to someone" after losing out to teammate Daniel Ricciardo in their battle for pole position in the Mexican Grand Prix. BREAKING: As we alluded earlier, Lewis Hamilton says he WON'T be gifting teammate Valtteri Bottas any race wins this year. As we mentioned earlier, it's young Brazilian Sergio Sette Camara's first day in the F1 paddock in an official capacity with McLaren. Gil de Ferran has been outlining Camara's role: "I think a lot of his work will be based on simulator development, but it's not only that. We'll bring him into the family, he is going to have a lot of exposure to our engineers and everything we do in-house."